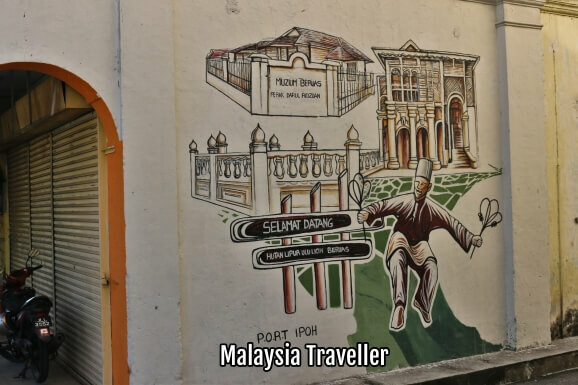 Ipoh Mural Art Trail is a map produced by Ipoh Tourist Information Centre showing the locations of some of Ipoh's famous street art. Here is the map. Sorry it looks a bit rumpled! I was carrying it in my pocket all day. 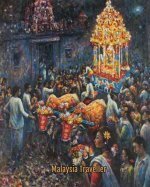 You can probably obtain your own copy from the Tourist Office or the Ipoh branch of Oldtown White Coffee. 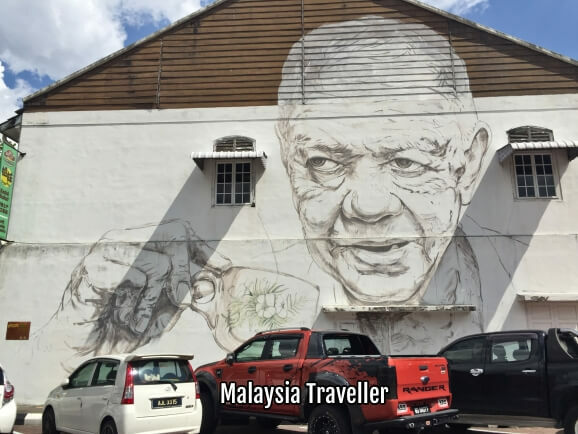 Following on from the success of street art in Penang, Melaka and elsewhere in Malaysia, the city of Ipoh commissioned talented Lithuanian artist, Ernest Zacharevic to produce a series of murals with sponsorship from Oldtown White Coffee. 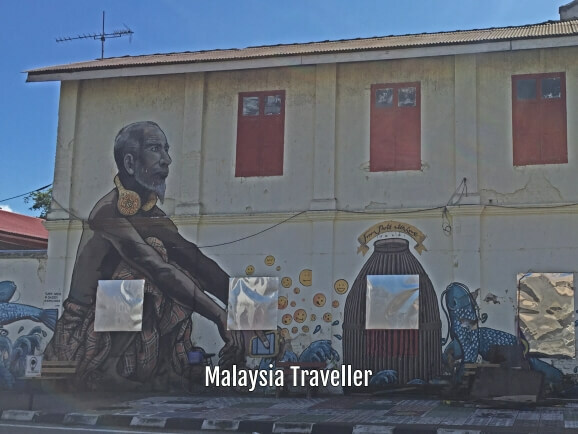 His art has transformed scruffy shophouse walls into works of art, some of which use props to give a 3D effect. 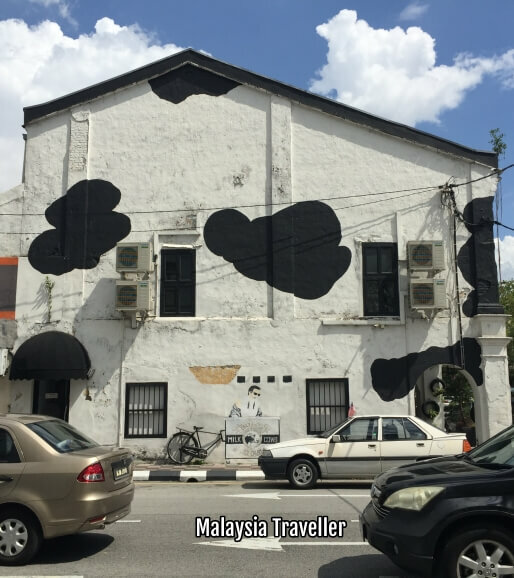 His work is of a transient nature (like famous British artist Banksy) and the damp mould stains on the walls caused by Malaysia's humid climate will eventually efface his work so go and see it while you can! 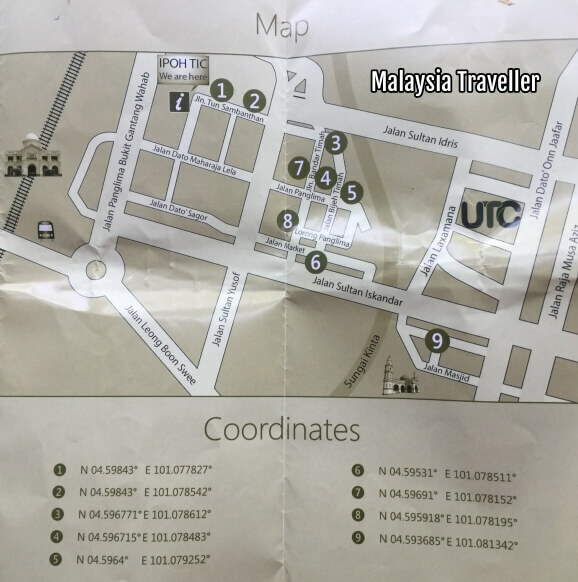 The map gives GPS coordinates but when I tried finding the coordinates on Google Maps they did not seem so accurate. 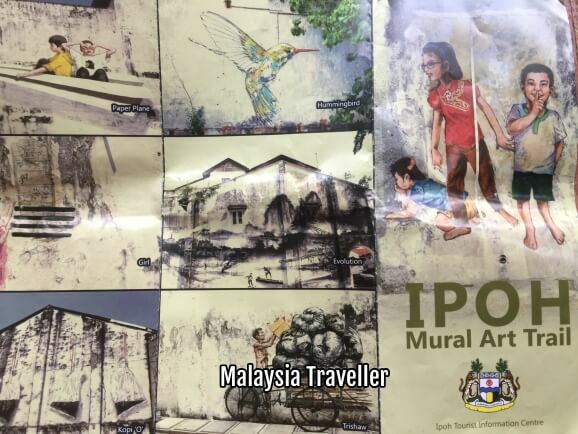 At least the map gives you a general idea of the murals' location and you can have fun searching for them. 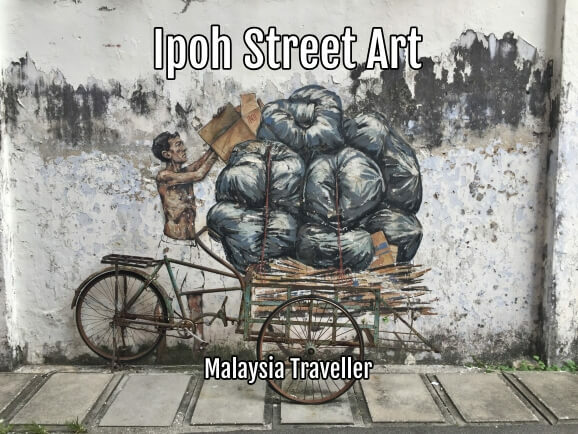 Zacharevic's murals are not the only ones in town and indeed a thriving street art scene has sprung up in recent years. 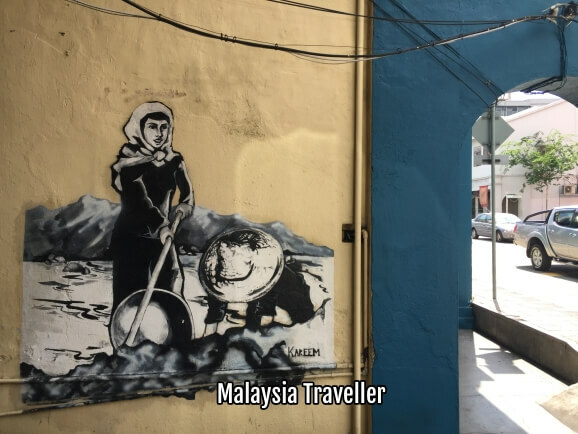 Mural Arts Lane is a narrow street running between Jalan Sultan Iskandar and Jalan Masjid and its drab walls have been brightened up with dozens of cheerful murals portraying scenes from Malaysian culture, some of them painted by art teacher Eric Lai. 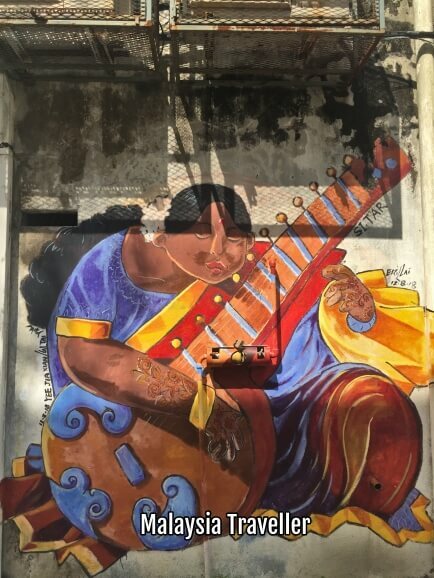 I think it is great the way that doors, windows, even vegetation have been incorporated into the murals. Mural Arts Lane is marked number 9 on the map. 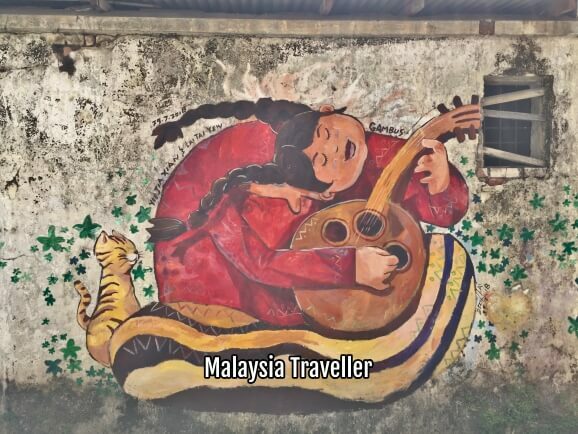 Here is a short video of Mural Arts Lane. 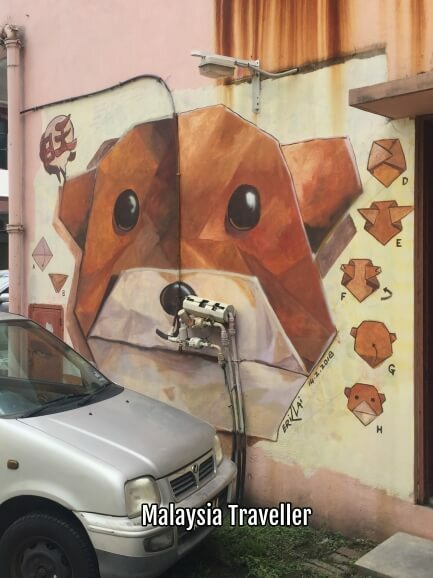 You'll be able to see lots of other examples of street art walking around the older parts of town. 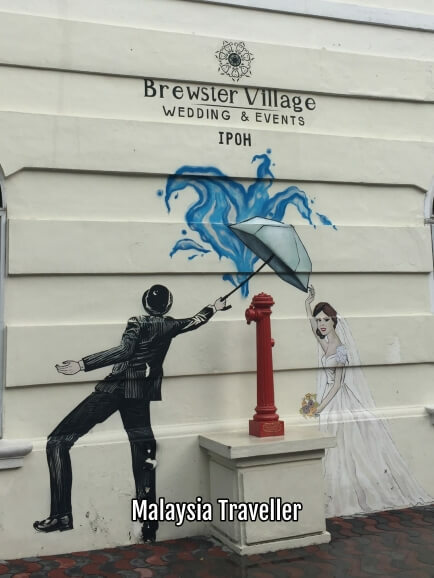 Brewster Village is a wedding and events venue operating from a heritage building (former fire station). 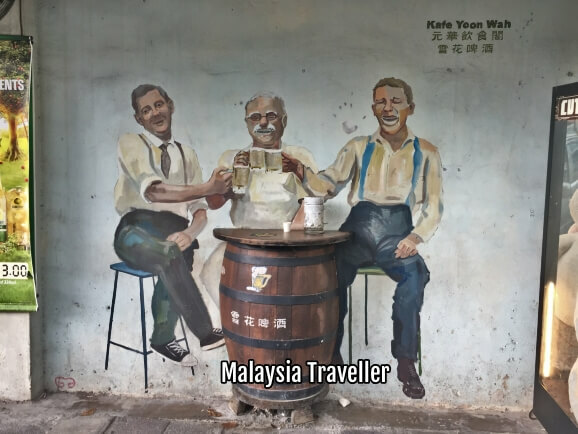 Mr Bean-like man and friends promoting a café. 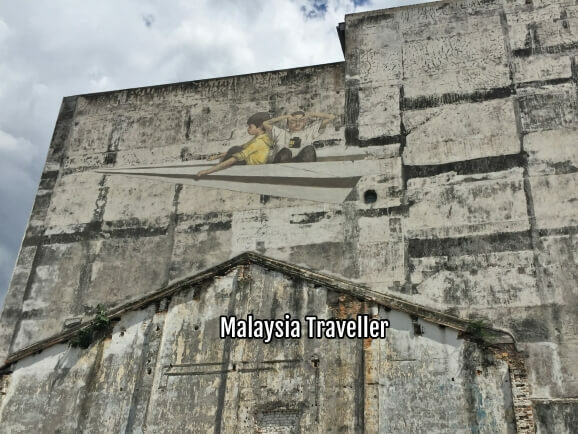 If it's raining you can still see murals indoors at Wisma Chye Hin on Jalan Sultan Idris, Ipoh. 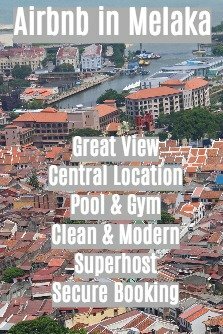 If you need more details please contact Ipoh Tourism Board.